Christmas is steadily approaching and now halfway through November, we give you yet another chance, to get your Christmas shopping done in time. We don't just have fantastic prices on a great number of excellent present-ideas, but also quick delivery on stocked items, as well as exchange and returns until the 31st of January. Read more here. We have collected together the absolutely most popular footballing Christmas present-ideas, on our smart Christmas market-campaign site, where you can find anything from super offers, to the newest boots and coolest shirts. We've done this to make it easier for you to get your shopping done, before the almighty Christmas race really picks up. The Christmas market is regularly updated with new products and good offers, so drop by, because we're sure we can find something for you. On top of that, we've also extended our exchange and returns date to the 31st of January, should you be so unfortunate, that something doesn't fit it's receiver. Do you dream about football? Or maybe, you know someone who does? In that case, we have just the thing for you, or the lucky recipient, because you can now save 33% on all our bedspreads from the biggest clubs in Europe. 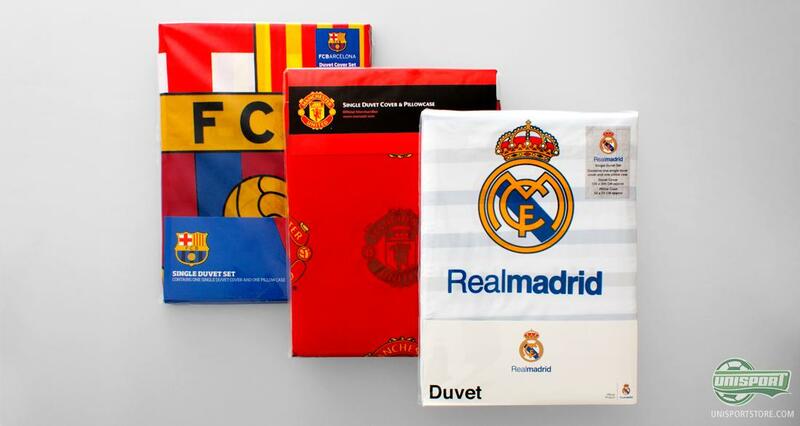 You can rest your head on anything from Manchester United and Liverpool to Real Madrid and Barcelona, so the options are many  Especially if you have more than one favourite. You can find them all on our new Christmas campaign site right here, where you will also find many other great gift ideas for the football enthusiast. The indoor season has begun, now that the temperatures are dropping so drastically outside and those polished floors do demand different equipment. 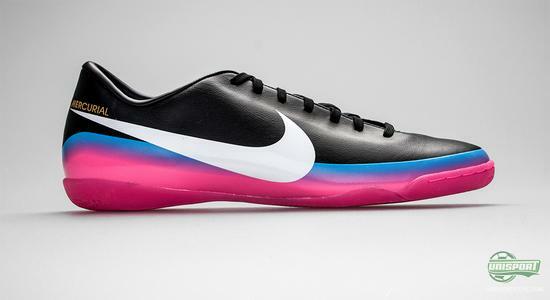 You need your indoor shoes and here Nike have together with Cristiano Ronaldo, just unveiled their Nike Mercurial Victory III CR7 IN, that combines classic design, with unique and cheeky accent colours. It will definitely be a hit among all football lovers, who have expressed excitement at the Portuguese world-phenomenons footballing skills. You can find the smart indoor shoe and other equally good alternatives on our new Christmas campaign site. 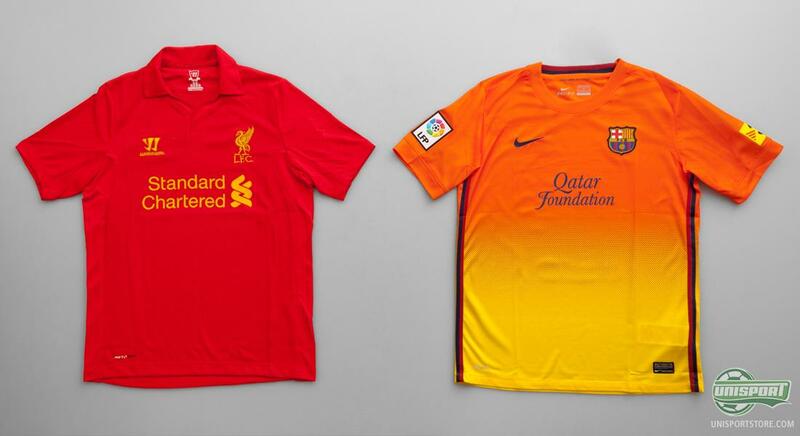 A new season naturally means, that the worlds biggest football clubs get new home- and away-shirts. Once again the clubs and their sponsors haven't disappointed us, by bringing quality design to the table and a new football shirt under the tree will definitely not go amiss. This could be both the Liverpool Home shirt 12/13 or the FC Barcelona Away-shirt, but those are just a fraction off the selection, find the rest here, where we are sure you can find something to tempt you. It's never easy to get your Christmas shopping done, but here at Unisport we do our bit to make it as pleasurable as possible. Quick delivery, gift ideas, offers and extended exchange all the way to 31st of January. That's not bad, so check by our Christmas market and see if there's anything a relative might enjoy. What's on your wish list? Share it in the comment-section down bellow.